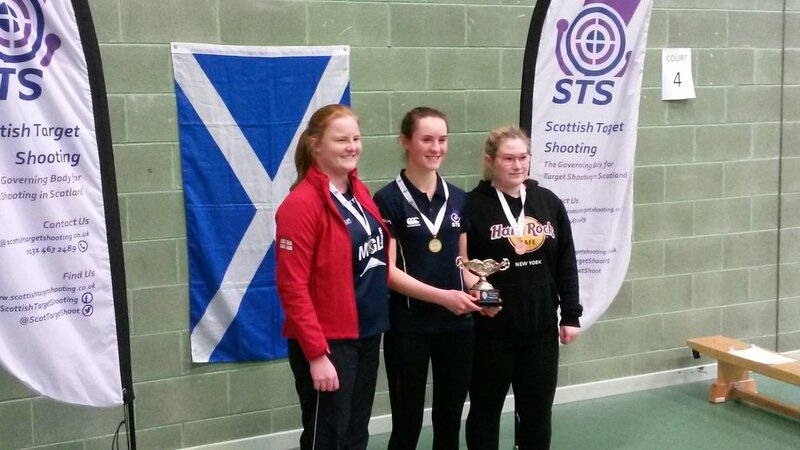 Edinburgh was the place to be on the weekend of 9 and 10 March - not only for the Scotland v Wales 6 Nations Match, but for the Scottish Target Shooting 10m Air Rifle and Air Pistol Championships, making it a double value weekend! The rapid conversion of the Engage sports hall at Napier University on Friday evening into a shooting range with 40 electronic firing points was no mean feat, so thanks must go to all the volunteers who arrived to help unload van and trailer and assemble all the kit required to achieve this, despite the typical welcoming Scottish wind and rain. Special thanks to Gavin Walker, who masterminded and controlled the range set up and went only one shade greyer while he remedied various technical issues, and the staff at the venue for ensuring he had access and therefore the time to make all the adjustments required before the competitors began to arrive. Saturday was a day for everyone; Class A to D shooters of all abilities and ages from 12 year old to 70+ year old. However, it was really the juniors day to shine, as they competed for a place in the Junior Championships. With entries from England and Wales as well as a strong Scottish contingent in the Junior Ladies, the top eight qualifying for the final saw all the home nations present represented. Coming out on top to take the trophy and Gold medal, having topped the leader board throughout was Scotland’s Emilia Faulkner. Silver was taken by Kari Dougall who fought hard and was within 0.8 points of the leader at one stage but finished 4.2 behind after the final shots. Bronze was taken by Emily Gleaves – both from England. Scotland’s athlete, Andrew Walker also maintained a decisive lead in the Junior Men’s final, finishing 3.8 ahead of Alex John from Wales and Lewis Mercer (Scotland) took the Bronze. It was England’s turn to take the top spot in the Junior Ladies Rifle competition, Emily Bale leading the way throughout to take the honours. The battle for Silver and Bronze between Abby Warren ( England) and Isabel Stark (Scotland) saw them tied on 201.9 points each after 20 shots making the next series of two crucial in deciding the Bronze medal position. Bronze went to Isabel , 0.3 behind Abby who took home the Silver medal. 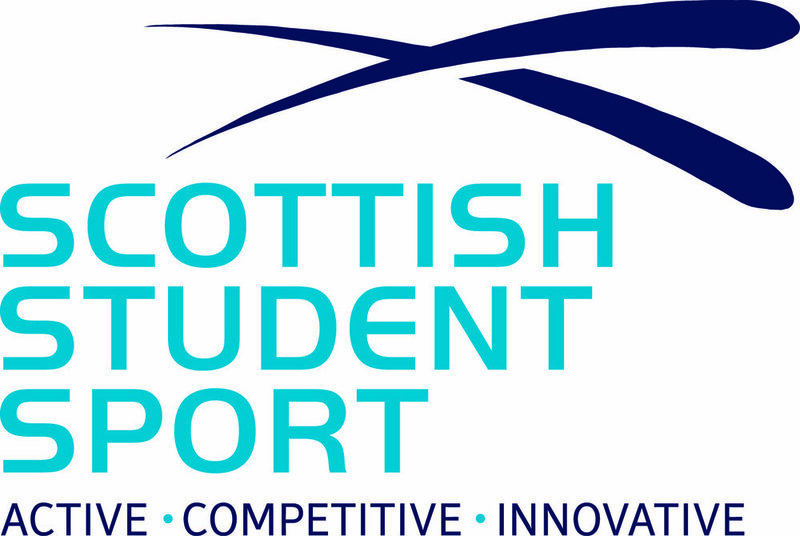 Fortunes were reversed in the Junior Men’s Rifle, this time Scotland’s Brogan Smith leading the way to win Gold with Tom Warren (England) winning Silver in second place and Lee Suddaby the Bronze in third. Congratulations to all the youngsters competing – we look forward to seeing you all progress in the sport. Sunday was Championship day – open to all ages with many of the youngsters lining up again with the other open competitors to compete for a place in the open finals. The forecast of wind and snow up and down the UK meant many understandably wanted to leave soon after the qualifying rounds but that did not stop some exciting finals with a good atmosphere created by those still present, especially in both the Men’s Rifle and Pistol competition, both being fought out to the last shots…and beyond! The Men’s Rifle final was battled at two levels, Jacob Hill and James Paterson battling for Bronze saw Jacob Hill just in front in the first stages, until James Paterson equalised after 16 shots, only to drop back to fourth place by 1.2 after the eighteenth shot. James, controlling his nerves fought back in the decisive following two shots to claim bronze by 0.5points. Meanwhile, in the two top spots, Cameron Pirouet from Jersey and Dean Bale from England entertained the spectators jockeying for first place, neither conceding much of a gap, despite the distractions of the crowd clapping and noise from the claxtons. Going into the last two shots Cameron was 0.7 points ahead and looking for Gold but when Dean Bales last shot hit a 10.9, fortunes were reversed and Dean stole gold by 0.1 point for a truly exciting end to the Championships! 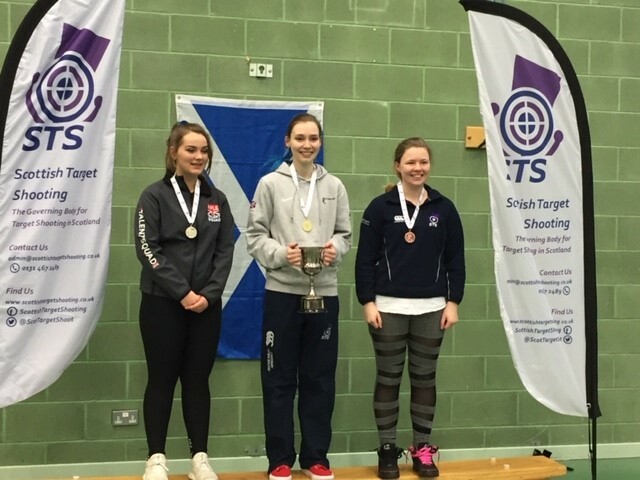 In the Ladies Rifle finals Seonaid McIntosh dominated and it looked like it might be a Scotland Gold and Silver but in the last 2 series England junior Emily Bale came through strongly to finish in the Silver medal position with Scotland’s Vikki Walls finishing in Bronze. A great achievement to see the podium occupied by such young athletes. The Men’s Pistol final was equally exciting as the Men’s Rifle. Initially Aedan Evans led the eight qualifiers until a battle started to emerge for the top three places. David Owen then took the lead with Aedan in second place, but with only 0.1 points between him and Andy Ralston in 3rd place before the 2 shots to decide Bronze medal position. The audience held their breath while they clapped and whistled. In the end, Bronze went to Aedan. Andy, in that same series leapt into the lead by 0.3. With 2 shots remaining tension was high….. 1 shot later it was tied when David shot a 10.6 to Andy’s 10.3. Last shot and Andy thought it was all over when he dropped a 9.2. – only to be matched by David! So it went down to a shoot off to decide Gold and Silver. Eventually, it was David Owen who won the Championship with Andy taking Silver. In the Ladies Pistol competition, Scottish junior Emilia Faulkner made it a hat-trick in the Open Ladies pistol final by claiming Gold for the second time this weekend, matching her finals record of 231.1. in a final where the ten ring seemed very elusive to many of the finalists. The visiting Norwegians ladies flew their flag on the podium with Ingeborg Gran taking Bronze behind Katie Knowles who took Silver home. Very many thanks to all the competitors, supporters, officials and other helpers for making it such a fun and friendly competition and we hope to see you back again in 2020!